Miles Collyer makes felt flags based on images he finds online. Few works of art convey ideas about the world we live in so effectively. Today, a flag could stand for the frivolity of a regatta, or the half-serious declaration of micro-nationhood. Collyer chooses to focus instead on symbols of political conflict; flags that express the statehood aspirations of disenfranchised groups. In the single video he showed at Toronto’s G Gallery, Collyer painted a pennant black and animated it, making the felt triangle appear menacing. It was the only flag that flew in the show, and it clearly announced what territory Collyer wants to claim as his native ground. We live in a world where images condense territories, which is also a good definition of the Internet. Recreating found images as life-sized replicas in felt, Collyer takes particular interest in the distortions that data transmission brings. Working from digital files, Collyer matches the crudity of pixelation with his chosen material’s lack of finesse. With meticulous care, he sews chunky, abstract artworks. The ripples of a flag that once flapped in the wind are given form as a layered, two-dimensional object. 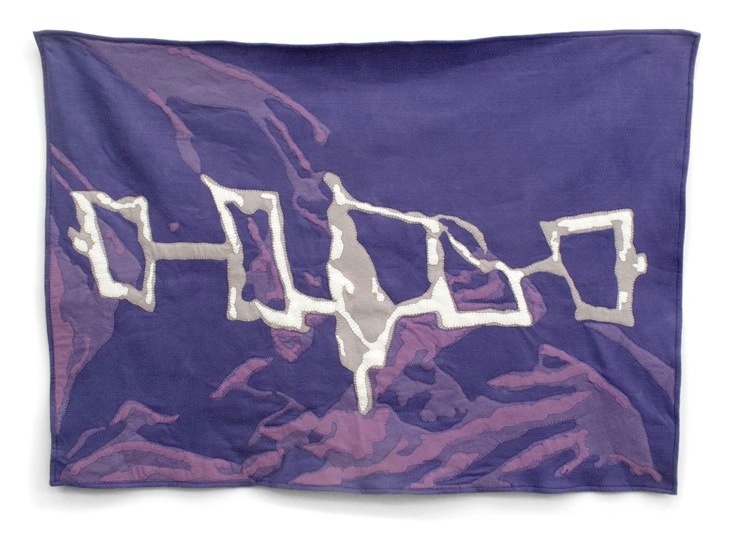 The result is eerie: the flag’s distortions lack detail, and thus take on the contours of a topographical map. Subjected to a multi-step process of translation, Collyer’s works continue to convey a message about their origins. The effect is an uncanny one, which brings to mind the Surrealists’ belief that they could find beauty and truth in a flea market. Collyer trained as a photographer, and this work is ultimately an investigation into the power of the photographic image. In a previous series of photographs, Collyer confronted this issue directly. He took portraits of himself wearing a variety of coloured knit balaclavas he had found in thrift stores. Even when styled as a fashion statement, the balaclava speaks the language of political insurgency. The images Collyer made cannot escape this implication; they draw resonance from the idiom of 21st-century terrorism. 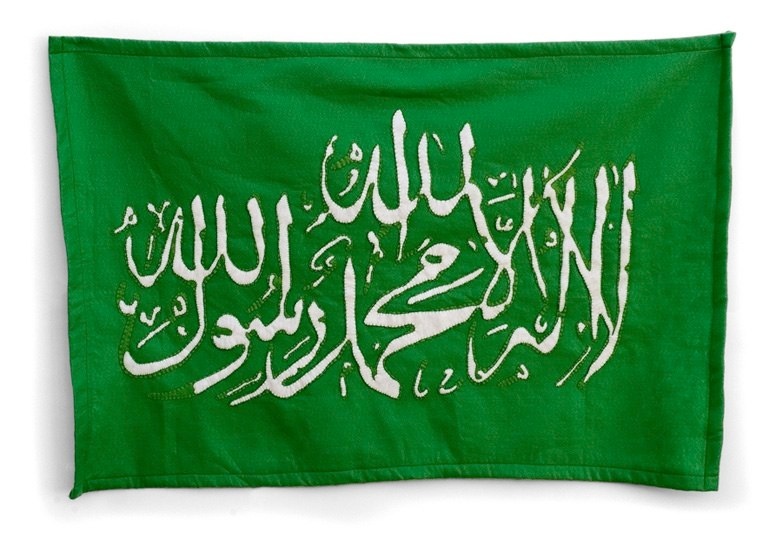 With his flag series, Collyer looks at the politics of the image from a different angle. The innocuousness of felt neutralizes the political flag, and yet its message remains undiluted. This is not because his audience knows much about the political struggles of, say, the people, whose flag Collyer has used as source material. Rather, it is because the picture frame flattens and condenses information into form. Flag symbolism is cultural expression at its most basic or, dare I say, primitive; this is why Collyer can create soft, distorted versions of the real thing and still find that they pack a powerful, atavistic punch. This text originally appeared in the Spring 2011 issue of Canadian Art. You can find more info about Miles Collyer here. You are currently browsing entries tagged with Felt at Army of YouTube.